Are You Entertaining or Just Being an A**hole?! That is the deep thought of the day posed by Christian DelGrosso as it relates to Logan Paul and for that matter all of today’s Social Media Influencers. I’d like to explore Mr DelGrosso’s perspective especially because he’s “so deeply pissed off and sick and tired of all of the fools showing disrespect for society” headlined by Logan Paul but certainly others as well. From what I’ve seen, his opinion, and certainly his method for sharing it, is far from alone. 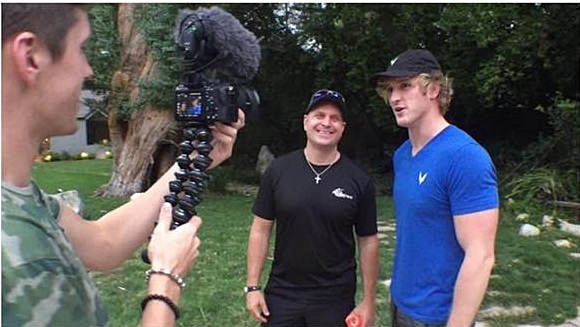 Have you met Logan Paul? Christian Delgrosso is one of the few people weighing in on social media who has actually met Logan Paul. That’s one of the reasons I was mildly interested in his take on the current debacle surrounding him. Although I cannot comment on the ending of his personal friendship with Logan, I can and will weigh in on his other “opinions” regarding the degradation of society at the hands of social media influencers. It seems everyone today is “Mad as Hell” about something (Politics and Religion come to mind) With the complete and utter integration of social media into our lives everyone is now able to SHARE their outrage with everyone else in the world just like Christian DelGrosso just did to his 2,000,000 Subscribers. I can’t answer that question for you but I can for myself. I choose to keep my “outrage” about whatever’s happening that’s getting under my skin off social media. I do that as much for my “Friends” sanity as well as my own. If you don’t have something nice to SHARE please don’t SHARE it! There’s enough sh*t in this world and adding to it or piling on it isn’t going to help any of us INCLUDING those of us who are SHARING it! I could be wrong but whatever cathartic feeling you get posting your 💩 for the world to see probably isn’t worth the time you spent composing it. Did what I share help or hinder others and our world by sharing it? As for me and my house I’m committing today, tomorrow and everyday for that matter not to SHARE anything that isn’t intended to help, inspire or make others smile after seeing it. If you agree with what I just shared please SHARE it and try and do the same thing everyday with your posts! Newer Post The “Secret” to Success Older Post How I Went from Zero to 10,000 in 41 Days!